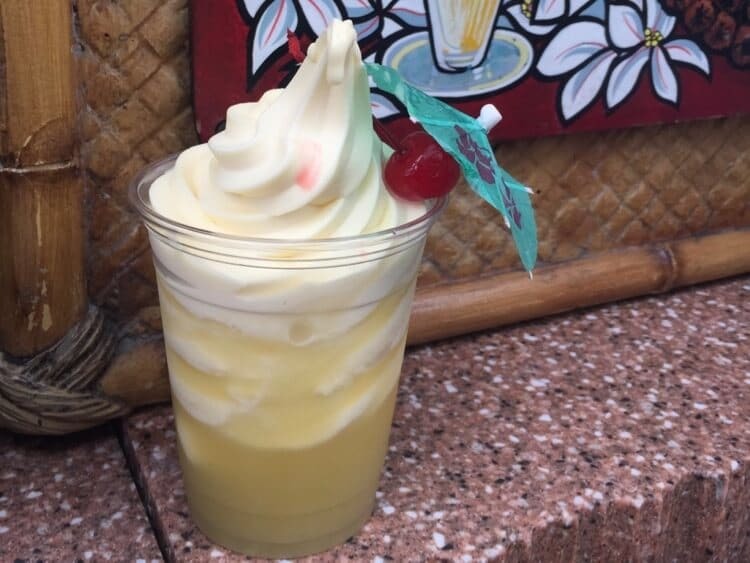 Many of you may have found me originally because you were searching for the holy grail of Disney, the perfect Dole Whip recipe. But I keep seeing on social media, that many people don’t realize you can totally get pineapple Dole Whips outside of Disney parks! Don’t worry, I’ve got you covered with this updated list. Creamy, fruity, delicious, and refreshing, it’s the deserving favorite of many a park-goer. For the longest time, it really was only available in Walt Disney World, Disneyland, and at the Dole Plantation in Hawaii. However, a few years ago I shared that official “Dole Pineapple Soft Serve” had been spotted at Menchie’s. 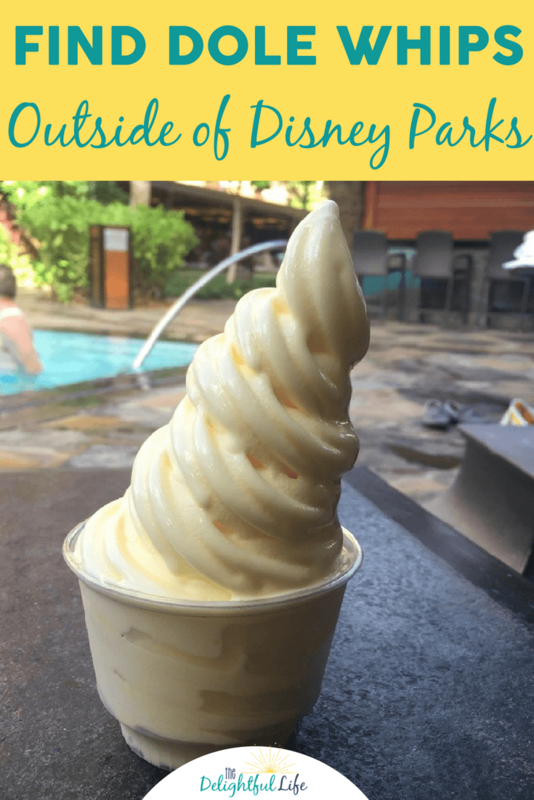 In doing more research, I found that many locations nationwide serve the delightful, authentic pineapple goodness – along with other nearly as good (if not as emotionally charged) Dole soft serve flavors. Please, do yourselves a favor. 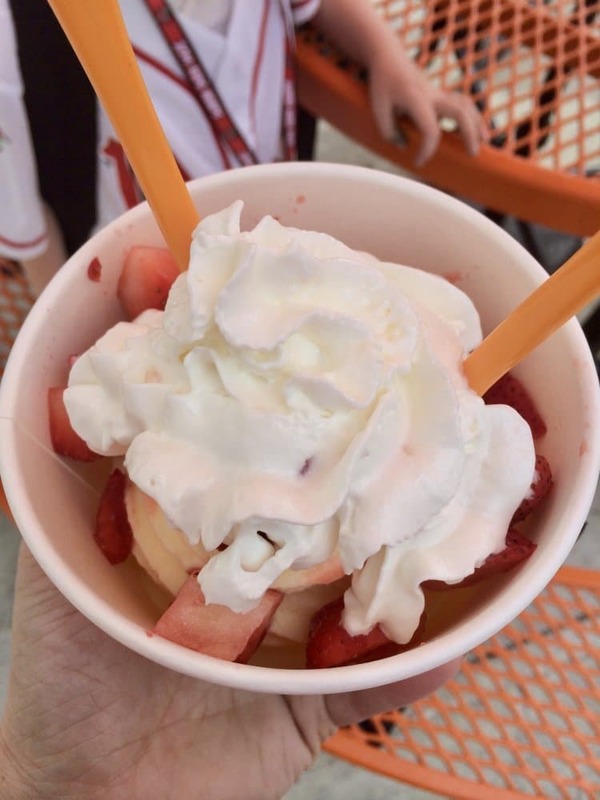 Look up the nearest Menchie’s or Orange Leaf and give them a call – weekly if you must – to find out when they’re mixing Dole Pineapple Soft Serve. You can even add fresh strawberries and whipped cream to it (my favorite combination) or smuggle in some juice to make a float, if you’re feeling adventurous. So spill it. How many of you are planning a trip to your nearest frozen yogurt joint as soon as possible, or have already called them to find Dole Whips outside of Disney World or Disneyland?! Another tidbit: Orange Leaf’s website allows you to select you “home” store and had a list of that stores current flavors. Not sure how accurate they all are but you may not even need to call. YES! Thank you for the reminder. I saw that and it looks pretty accurate, at least as far as each being different. Nando’s Peri Peri chicken has dole whip! Milwaukee County Zoo has them at the new otter exhibit! yummy Dole whips available at Nando’s Peri-Peri at Oak Brook Center ($2.95 as a side with food order). If you are in Orlando, check out http://www.bigkahunasbowls.com we just went there for the first time this afternoon and the Poke looks amazing but we went there primarily for the Dole Whip. I didn’t even know there were four flavors! They had strawberry, mango, pineapple and orange! We want to head back for bowls today or tomorrow. I can report that Lappert’s Ice Cream in downtown Palm Springs has Dole Whip! It looks as though they always have pineapple, plus two other flavors that rotate. Just found Dole Whip. IceCreamTon on pacific coast highway next to Main Street Huntington Beach CA. We had Dole Whips at the Lahaina Ice Cream Parlor in the town of Lahaina on the beautiful island of Maui, Hawaii in 2017. 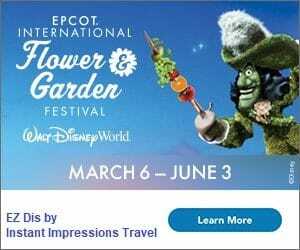 It looks like they have a Dole Whip pic as their Facebook cover photo. Dutch wonderland in Lancaster, pa has dole whip!